Betrayal at Krondor – How to make it sound great as you remember? I’ve just purchased Betrayal at Krondor from gog.com. This game was one of my favorites when I was a kid, not knowing a word in English. I haven’t played it since then. Sound effects were totally different than what I remembered. The music, in stores or chest for instance, wasn’t looping as it should have been. The quality of the music was much better than before. This is caused by the fact that the music used by the game is no longer MIDI as it was back then, but “CD music”, which means, pre-recorded, high quality music. They improved the music, but in the process lost the loops. In order to bring the loops back, all you have to do is go to Krondor’s preferences, in-game, and disable CD music, that’s all. You’ll get a significantly lower quality music, but I prefer that over silence in long battles and while solving riddle-chests. So we lost the high quality music, isn’t there anything we can do to get the good from both world? Well, I don’t know whether it’s possible to make the CD music loop or not, but I do know that it is possible to significantly improve the quality of the MIDI music. I haven’t done that, because I’m happy with the music as I remember it, but if you want, you can follow this guide which is more complicated but achieves more. Posted in Games. Tagged DOS, DosBox, Games. I have two hard drives, one is SATA and the other one is an old IDE (PATA). I use mostly the IDE because it is larger. The SATA was causing errors which crashed my Windows and Linux OS’s so I disconnected it altogether. The crashes vanished, but XP became inconceivably slow. Boot was taking about 30 seconds, it became a few minutes. Opening applications was also very slow. Basically what it says is that for some reason, after too many I/O errors, Windows XP changes the way it interacts with the hard drive to be very slow and reliable. When the I/O errors stop happening it should have been reverted to the fast method again but that does not happen. To fix that, first eliminate the source of I/O errors (in my case, the SATA drive), and then uninstall the IDE controller driver through Device Manager. Reboot, and Windows will install the correct driver, reboot again and voila, your XP is fast again. Posted in Programming. Tagged Archlinux, clang, Sublime Text, SublimeClang. How to tell ruby (rails) which version of rake to use? An error occurred while installing rake (10.0.2), and Bundler cannot continue. Make sure that `gem install rake -v '10.0.2'` succeeds before bundling. I do have ‘rake 10.0.2’ installed but I also have ‘rake 0.9.2.2’ because Archlinux bundles it with the Ruby package. I struggled to find a way to tell Rails to use the newer package. Posted in Programming. Tagged Rails, rake, Ruby. Posted in Security, Server, Windows. 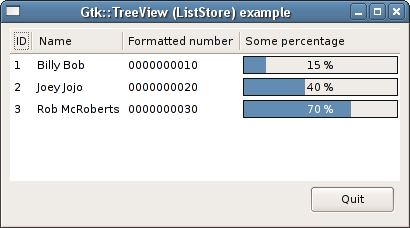 How to remove selected items from a Gtk::TreeView using gtkmm? The painless way. I am building an application using C++/gtkmm-3.0. The development process is sometimes nice and sometimes too complicated in my opinion. The worst part until now was when I wanted to remove the selected items from a tree view. Behind a tree view there is a “store” which holds the information for the view, like a model in MVC. 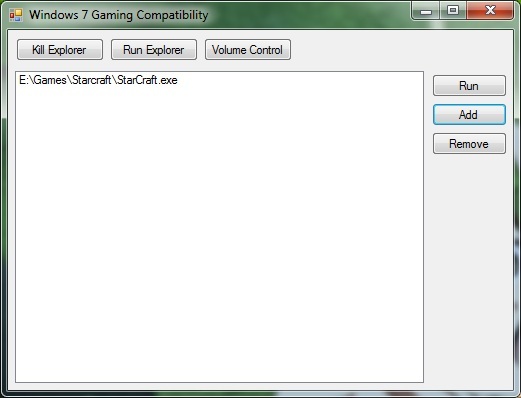 Sometimes you need to enable the user to choose multiple items from the view and delete them. Should be simple, right? but no, it won’t be that simple. And that’s supposed to do it. I was surprised to see the steps needed, and even after it did somewhat work, Gtk wrote on the command line that this way of iterating over a selection is for reading only and for manipulating the store I have to use another way. Well, I wasn’t the one who came up with that method, I saw it in a few examples and tutorials and it was used to delete items. I became tired of the over complication and found a simple little way to do it. I don’t know if it “right”, but it is simple and it works. We have our class, with the view, store, and selection as private members. That’s all. 3 lines of code. Why not do it like that? Why the over complication? Who knows.